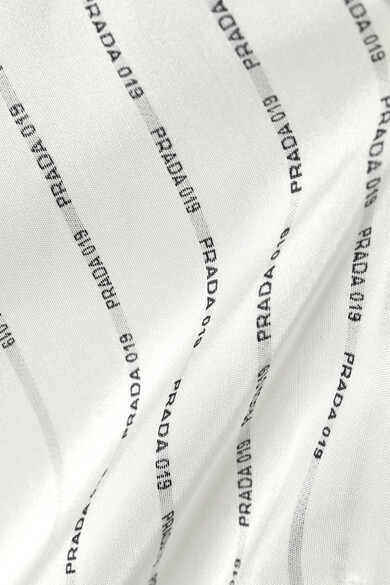 Prada's shirt allows you to switch up your look from buttoned-up to a bit more nonchalant. 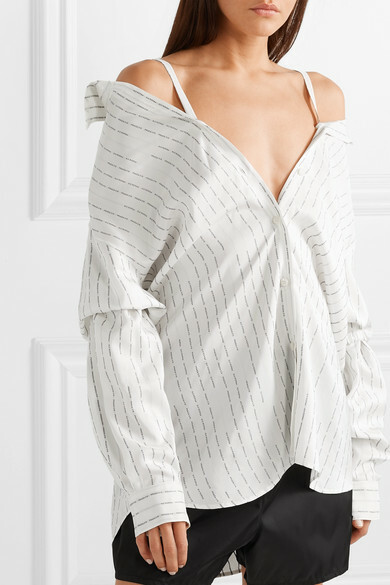 Made from silk-satin that's printed with stripes and the brand's moniker in micro lettering, it has slim straps so it can drape off the shoulder, while Velcro® trims at the elbow create a slouchy shape. Wear it with the label's shell shorts.